If you have a significant number of LARPers on your facebook or twitter, you’ve likely seen a bunch of these memes popping up all over the place. 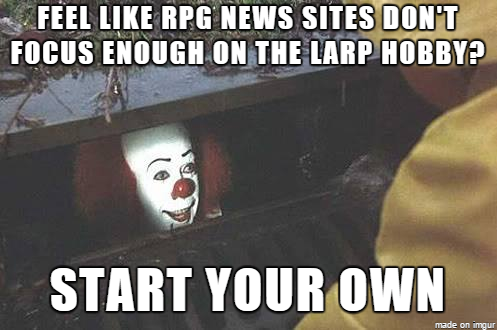 It’s called Bad Larp Advice Clown, a meme started on facebook by MES and Dystopia Rising player Tyson Hood. 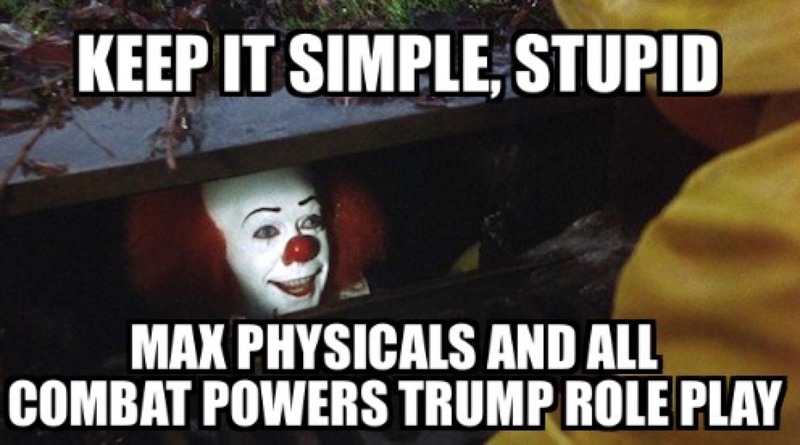 These memes, using a screenshot from Stephen King’s It as the main image, showcase terrible LARP advice. These range from build advice to roleplay advice and all of it is terrible. This isn’t the kind of humor built for players new to LARP. Those of us who have been around long enough to have experienced bad LARP behavior will likely get a laugh out of at least a handful of these. But if you feel like one or two hits a little close to home, you’re not alone either. One of the things that often gets hard in this hobby is telling people their behavior is not okay Some orgs have policies and procedures specifically for it while troupe games and some org deal with such bheavior more nebulously. Is there a right way to coach players? Maybe, maybe not. Just remember, advice of any kind–bad or good–is entirely up to you if you want to follow it. 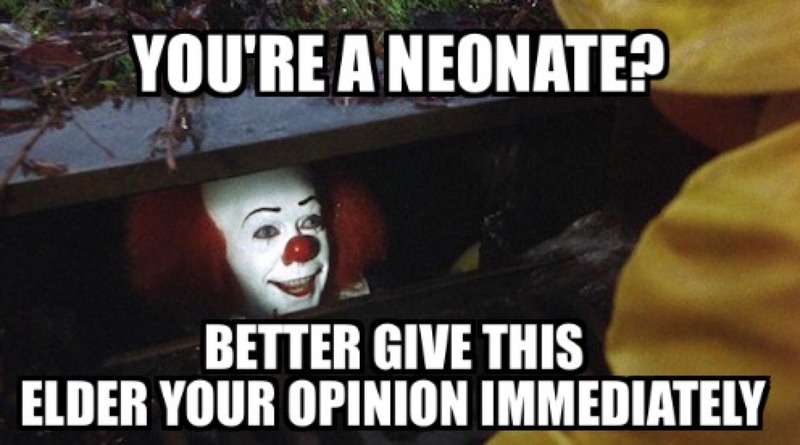 Follow more terrible LARP advice at Bad LARP Advice Clown on tumblr.